This book, originally published in 1987, considers how the science of linguistics creates its own objects of study. It argues that language is the one essential tool in the ‘social construction of reality’ – the way in which our environment as we perceive and respond to it is actually created by the cultural constructs we bring to bear on it – and that it is also the means by which this reality, once constructed, is preserved and transmitted from person to person and from generation to generation. 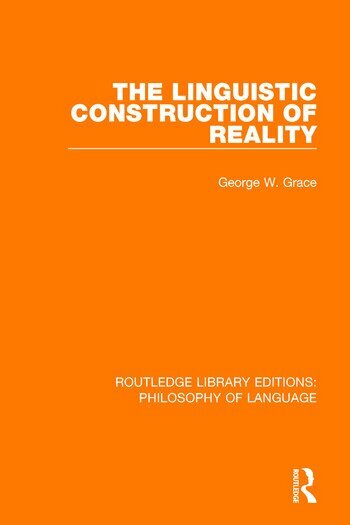 Hence it is entirely appropriate to refer to the linguistic construction of reality.